As far-too-short Christmas playlists have taught us, not only is it Chriiiiiiiiiiiiissssstmaaaaassssss, but it is the most wonderful time of the year. Depending on how much time you have spent working for minimum wage in retail, you may have other feelings on that positive assertion, but consider it like this: it is a custom-built period of the calendar when going outside is not only slippery, cold and generally a bad idea, but actively frowned upon. That means games. Whether that’s big games you can play through from morning to night, short games to fill the spaces between mince pie feasting, or multiplayer games to play with all the family. Except the that one awful uncle who keeps cheating by knocking the controller out of your hand. 2018 was the year of battle royale, so what better way to usher out the year than by dying after a few minutes of scavenging and a further 20 minutes of doing sod all? Fortnite might have looked suspiciously similar to the genre behemoth PlayerUnknown’s Battlegrounds in 2017, but this year Epic Games constantly chopped and changed its shooter. It’s hard to really fathom the full phenomenon that is Fortnite – so it’s best just to knock back the mulled wine and settle down to a squad game. Over the Christmas break, Epic is running 14 days of Fortnite challenges. A full fortnight of Fortnite. Rather than give you seven challenges to complete in a week, a new challenge will be unveiled each day. Some of these are extremely simple, like joining a Creative server, but they’ll undoubtedly become more interesting as the event goes on. Fortnite Battle Royale proves there is nothing more Christmassy than watching someone triumphantly best a few rivals and steal their thunder by sniping them from a crafty hiding place. Be warned, though: only engage in a game of squads with your family if you are certain it won’t provoke any Christmas day spats. While Hollywood can be relied upon to produce films for every major holiday you can think of, seasonal games are a rarity. Whether that’s a symptom of their long and unpredictable production cycles or an industry shortage of Christmas spirit is a matter for another article to interrogate. 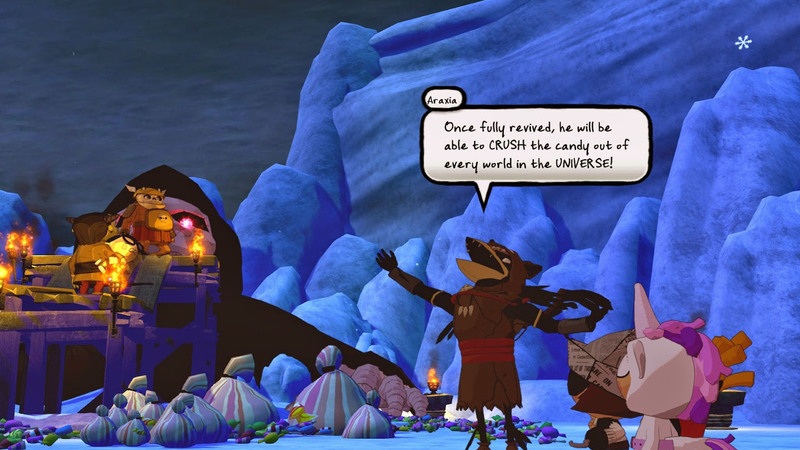 But thankfully, Double Fine has done more than its part to fill the gap – first with its Halloween-themed love letter to JRPGs, Costume Quest, and soon afterwards with its DLC campaign, Grubbins on Ice. Really, Costume Quest had almost the perfect setup for a Christmas movie in the American mould to begin with – three kids run around town on rollerskates, solving a kidnapping by monsters that only they seem to take seriously – the adults dismissing their concerns as childhood flights of fancy. The candy-collecting conceit doesn’t make quite so much sense outside Halloween but, draped in snow, Grubbins on Ice couldn’t feel much more Christmas-y. If you’re looking for a festive game with a hint of Baldur’s Gate about it, then look no further. 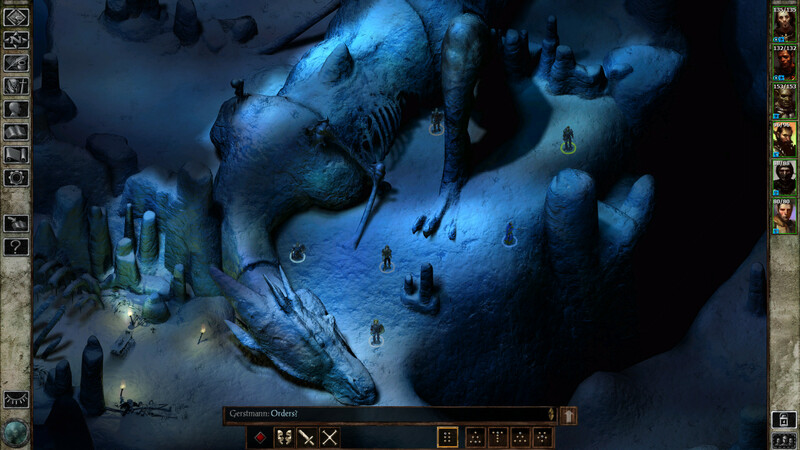 Icewind Dale is the perfect Christmas game for you, and not just because it has got ice in the title. Of course there’s all the slaying, dialogue traversing and RPG elements you would expect from an Infinity Engine game, but this time with little pixelated snowflakes falling gently and smoke pouring from the chimneys of snow-covered homes. If Baldur’s Gate had even a single flaw, it is that it did not feel particularly Christmassy with its high-fantasy world full of dungeons and castles. Icewind Dale is no less menacing, you understand, but if you are looking for an Infinity Engine RPG to play over the festive period there is no better candidate than this. Nothing says Christmas like dressing up in a Santa suit, sneaking into a home, tip-toeing past the tree, and throttling a security guard. That’s Hitman 2 all over – murder and looking fabulous while doing it. 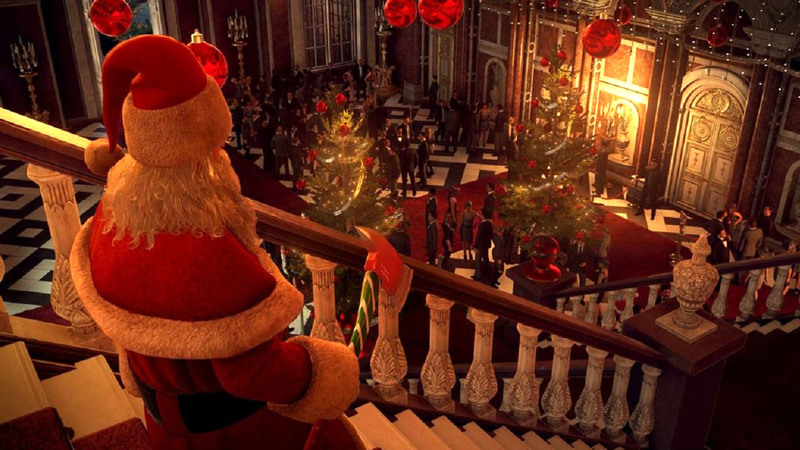 To celebrate the season, developer IO interactive has released a limited-time Christmas event for Hitman 2. It’s called Holiday Hoarders and it’s the same event the studio ran last year, but now in the updated Paris map. Best of all is that it’s completely free. Oh, it’s the most wonderful time of the year. In Holiday Hoarders, you’ve a number of goals. There are two burglars robbing the Parisian mansion and you need to steal the 12 items they’re looking for before they do. You also need to kill them both, natch. One challenge tasks you with killing them both in a propane explosion. The other dictates you must finish them off with ‘accidents’ all while dressed up as Father Christmas. You can’t spell homicide without Ho (ho ho). Since we have had trouble making a simple burger as head chef at Chez Overcooked, the intimidating prospect of cooking a proper Christmas dinner – with all the trimmings, of course – strikes fear into our hearts. And it threatens the fragile ceasefire after the inevitable Christmas argument. 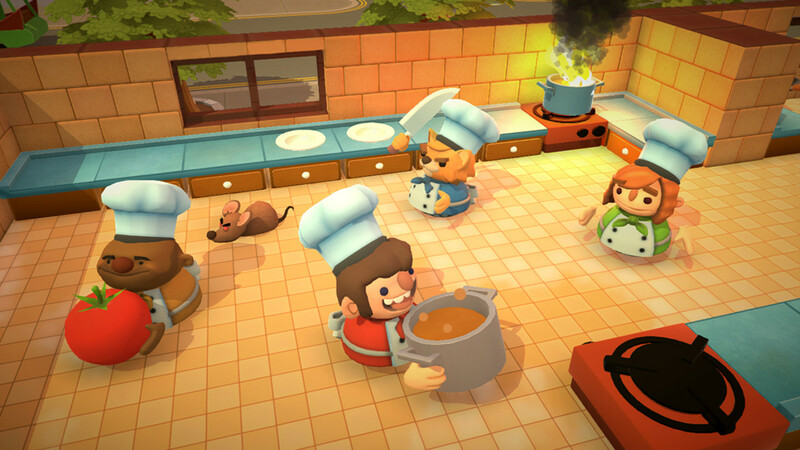 The Festive Seasoning is the name of the festive addition to chaotic co-op cooking sim Overcooked, and it brings a new meaning to the game’s title with us at the stove. This DLC includes eight new levels, a new map, and two new chefs to unlock. There are also brand new recipes and ingredients, and not forgetting the most useful of all kitchen tools, the flamethrower. Get ready everyone, this one is a tear-jerker. 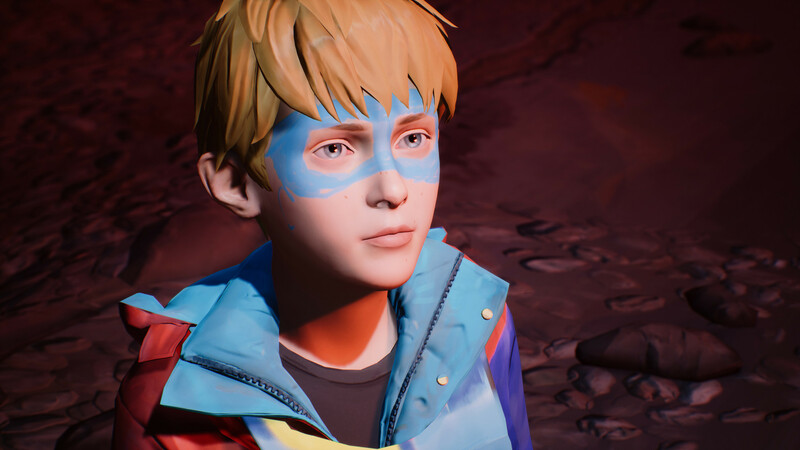 Before the release of its sequel to Life is Strange, Dontnod put out Captain Spirit, a small spin-off adventure about Chris, a nine year old with a vivid and wild imagination who likes to play as his superhero alter ego Captain Spirit. It tells the earnest story of Chris and his father, who are handling the loss of Chris’s mother. Surrounded by toys and comics, Chris escapes reality and transforms into Captain Spirit, battling against the forces of the evil Mantroid. This uplifting tale that would instantly warm any Grinch’s heart. It’s a small, cinematic vignette and it’s free to play over on Steam, so there’s no reason why this shouldn’t be on your Christmas gaming list. We are told outdoorsy people do exist and some of them, presumably, use the holiday to go climb an especially white mountain, or trek across real desolate wastelands for whatever weird enjoyment they get out of it. 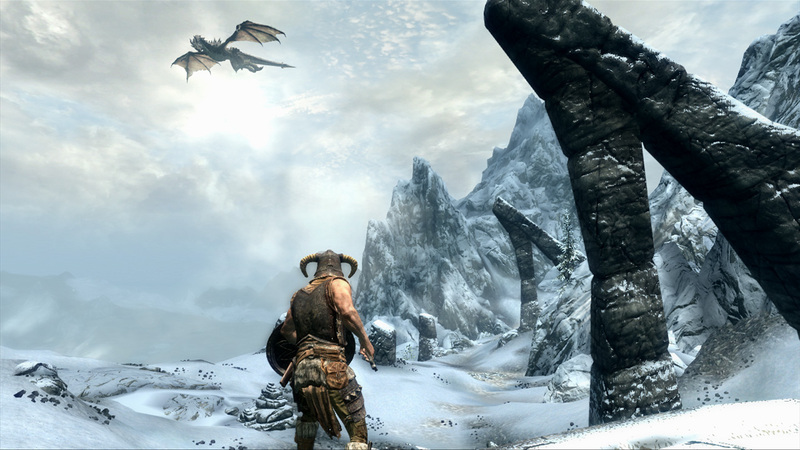 Well, Skyrim lets you do that, and even puts some old men at the top of the beautiful, festively snow-capped mountain for you to find. The trees are woefully lacking in decoration, though. Chances are you have already plumbed its cold depths, but have you tried thevast selection of mods available? We would particularly recommend a suite of survival mods that make wandering more interesting and exploration more satisfying with the constant knowledge that an icey, starving death is stalking you. That is the kind of thing that makes you think of December 25 and the baby Jesus, right?